In bad economic times silver has proven again and again to increase in prices much more significantly compared to gold or any other precious metals. More and more investors are seeking silver investing advice to provide them with excellent protection against potential hyperinflation and possible currency default. Silver futures are an important financial mechanism for large scale silver dealers, bullion manufacturers and silver mining corporations. In layman’s terms, silver futures contract allows sellers to find silver buyers ahead of time, sometimes before silver production takes place, and agree on a price and date in the future. 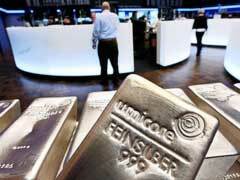 Silver futures contract helps buyers secure a silver purchase for a future date for a favorable price. This way both parties win by participating in the silver futures agreement. In addition, silver futures contracts act as a price hedge against sellers being forced to sell too low and buyer from having to pay too high in case silver prices fluctuate between the dates of signing and maturity of a silver futures contract. Only 1% of total silver futures contracts result in actual commodity delivery, most futures are resold before their maturity date allowing traders to make a profit on the difference between purchase and sale of silver contracts prices. Silver futures charts play an important role in silver trading and help establish the daily spot price of silver. Gold futures contracts work in a similar way, except they trade gold commodity and specifications are a little bit different due to gold’s superior value.